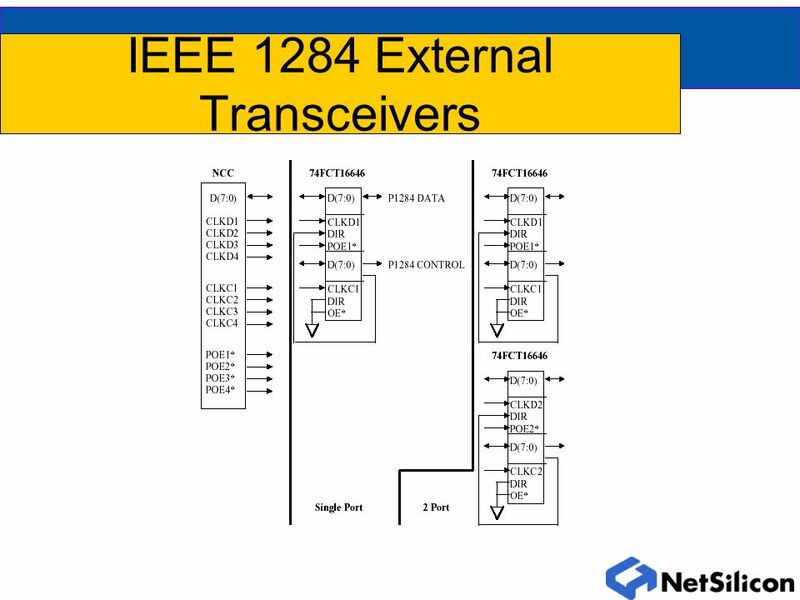 IEEE 1284 I/O. 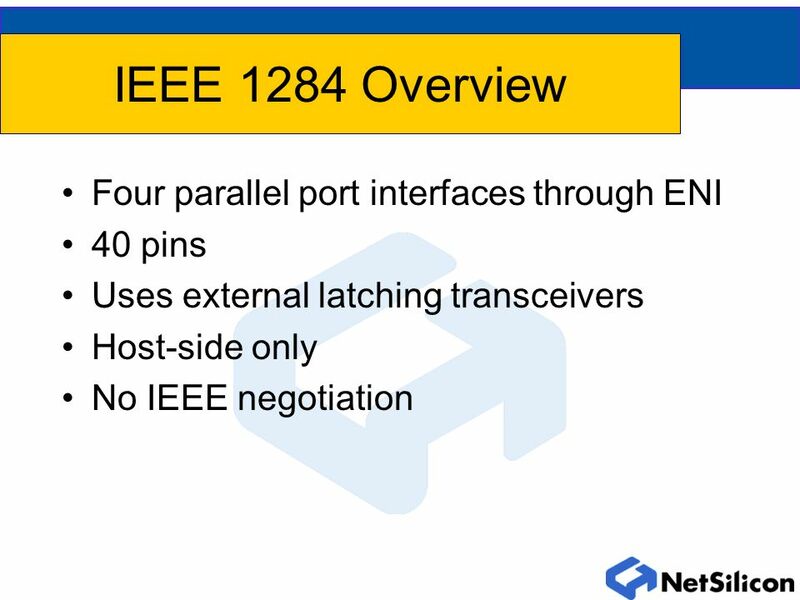 IEEE 1284 Overview Four parallel port interfaces through ENI 40 pins Uses external latching transceivers Host-side only No IEEE negotiation. 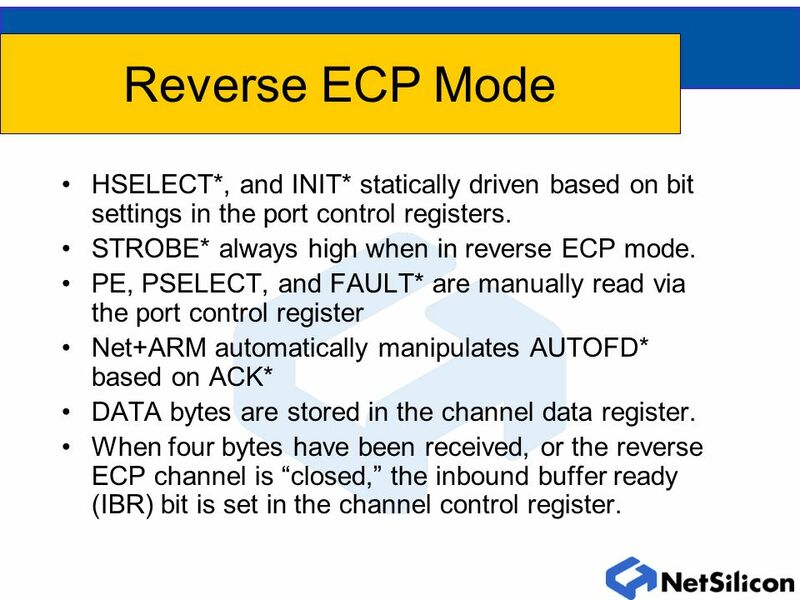 11 Reverse ECP Mode HSELECT*, and INIT* statically driven based on bit settings in the port control registers. STROBE* always high when in reverse ECP mode. 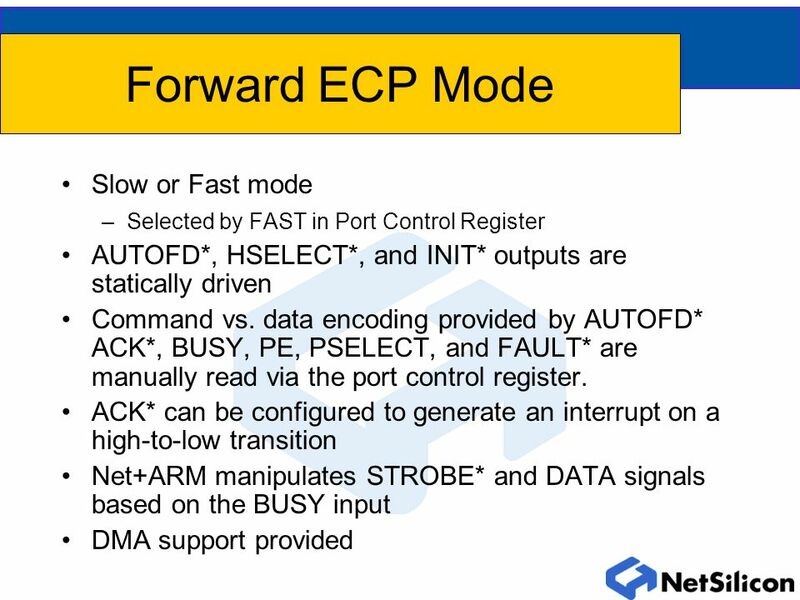 PE, PSELECT, and FAULT* are manually read via the port control register Net+ARM automatically manipulates AUTOFD* based on ACK* DATA bytes are stored in the channel data register. 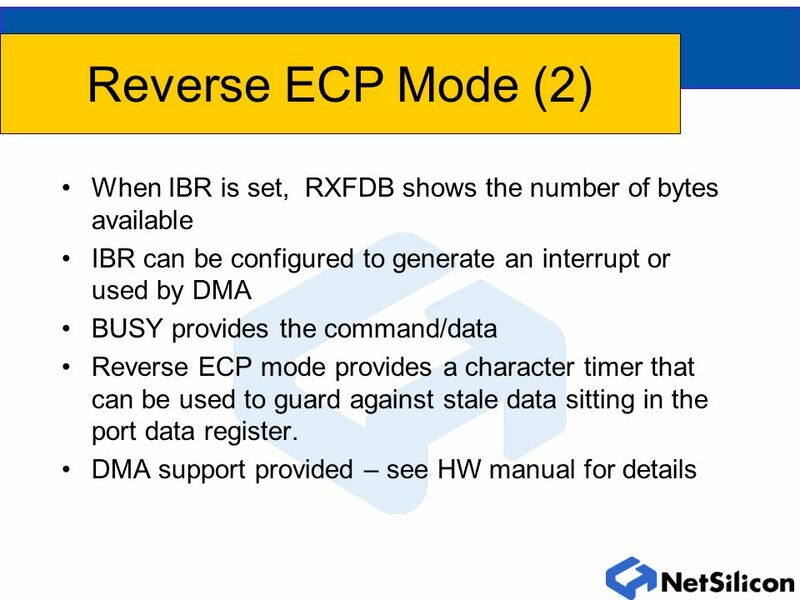 When four bytes have been received, or the reverse ECP channel is closed, the inbound buffer ready (IBR) bit is set in the channel control register. 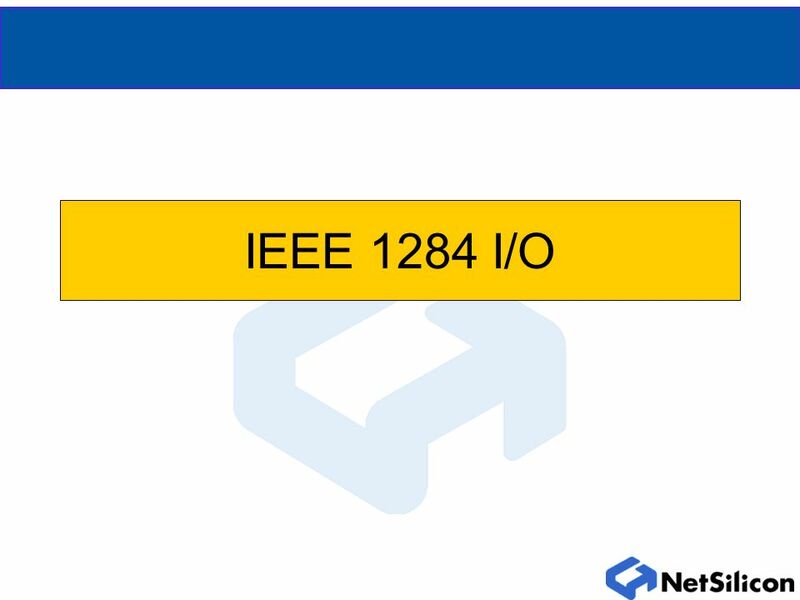 Download ppt "IEEE 1284 I/O. 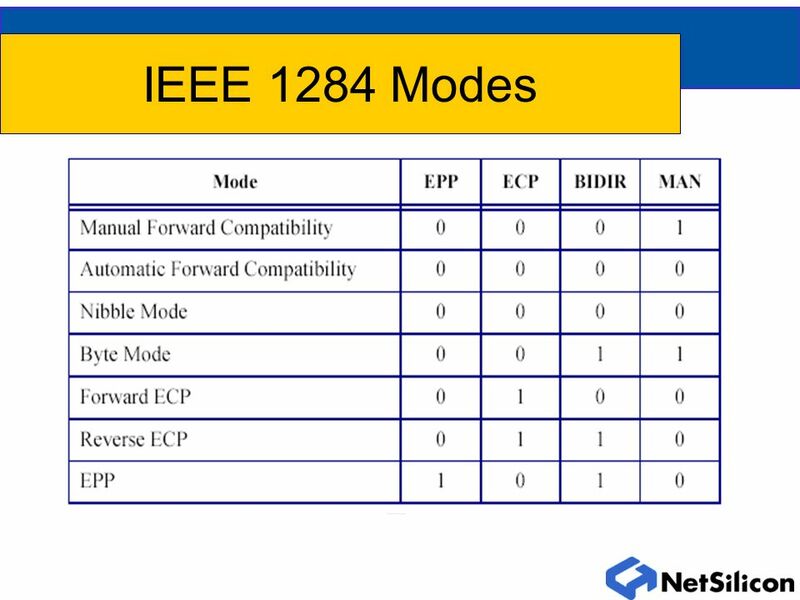 IEEE 1284 Overview Four parallel port interfaces through ENI 40 pins Uses external latching transceivers Host-side only No IEEE negotiation." 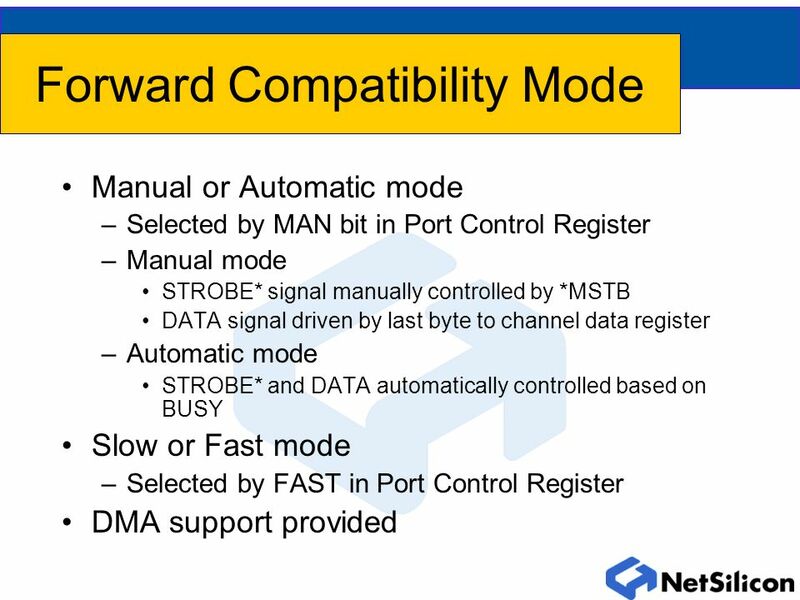 IO Interfaces and Bus Standards. 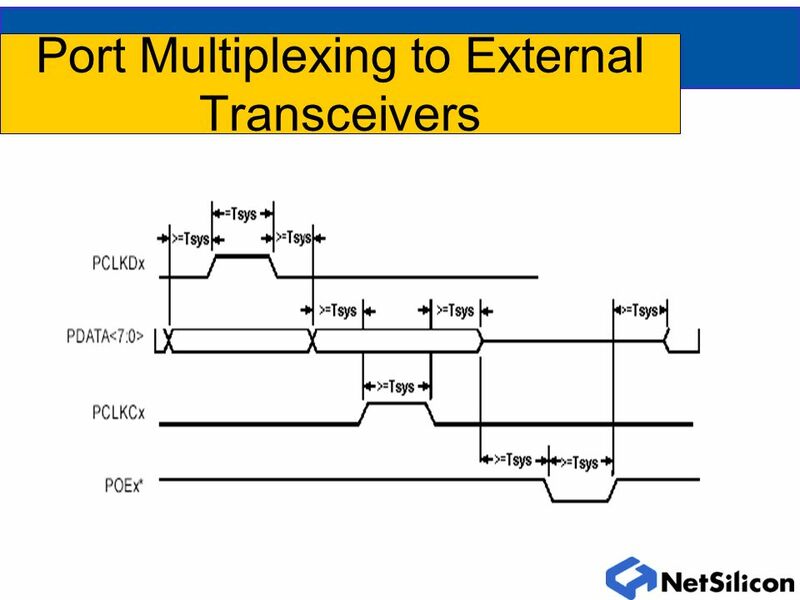 Interface circuits Consists of the cktry required to connect an i/o device to a computer. 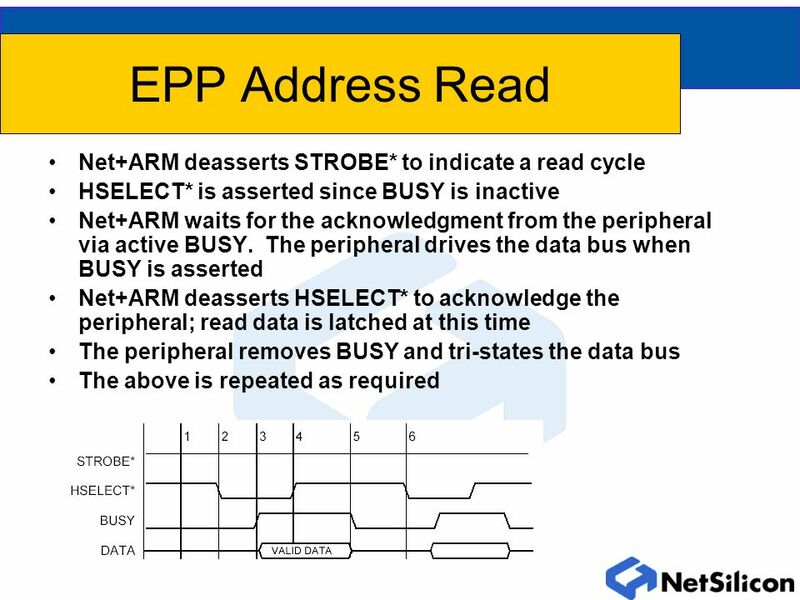 On one side we have data bus. Microprocessor Dr. Rabie A. Ramadan Al-Azhar University Lecture 4. Chapter 10 Input/Output Organization. 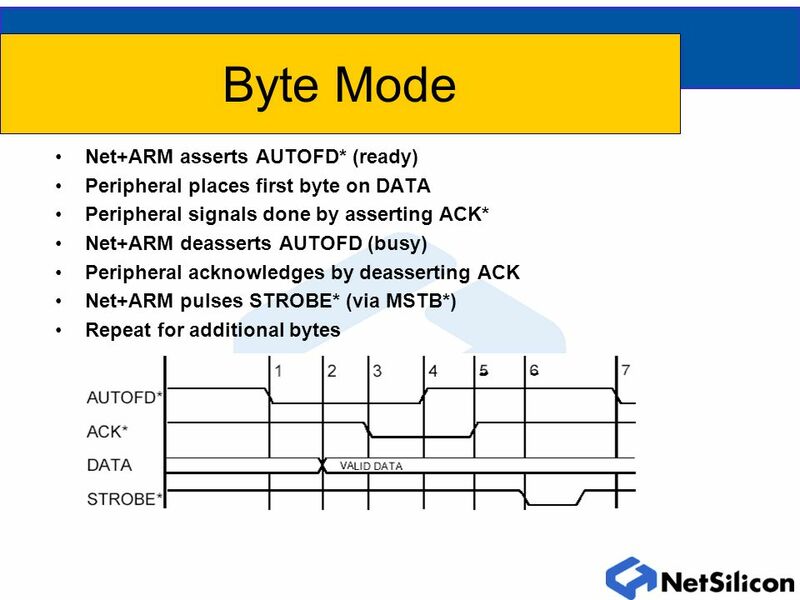 Connections between a CPU and an I/O device Types of bus (Figure 10.1) –Address bus –Data bus –Control bus. 82C55 82C55 Programmable Peripheral Interface Interfacing Part III. 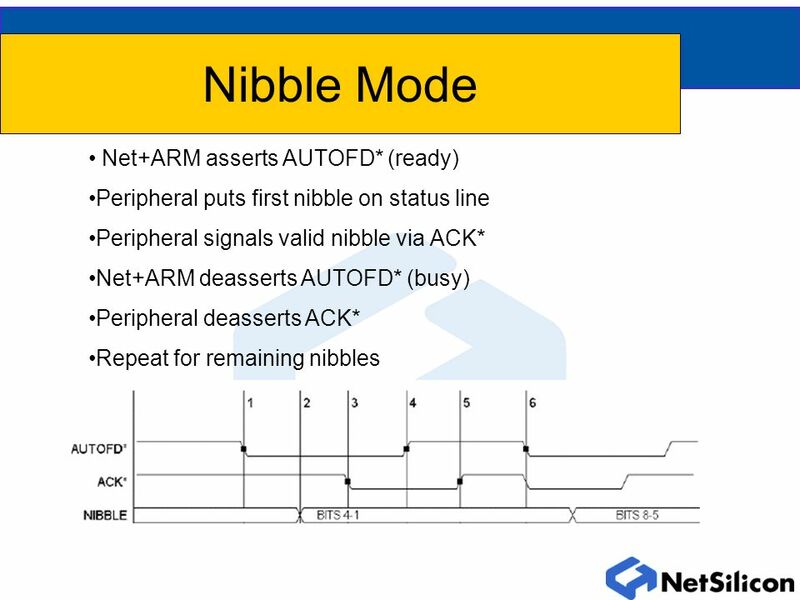 EET Advanced Digital Parallel Ports. 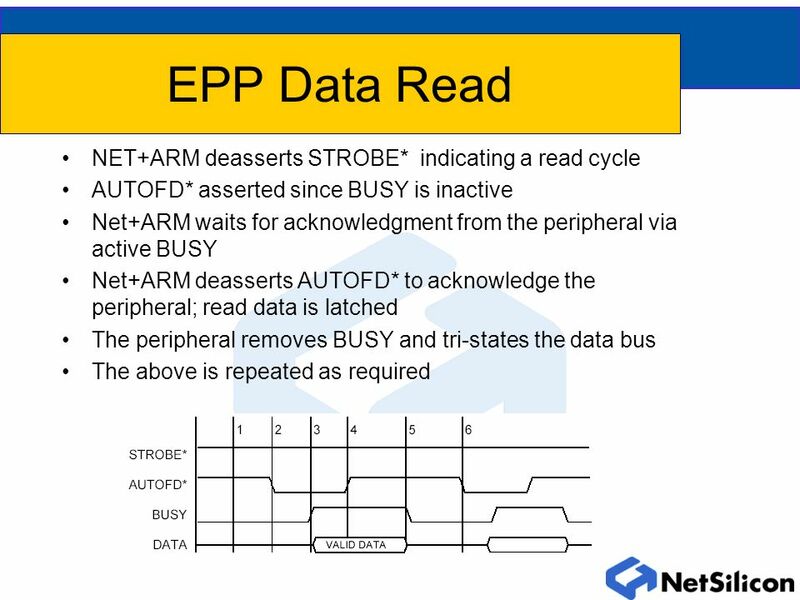 n In contrast to serial ports, parallel ports ‘present’ all bits at one time. 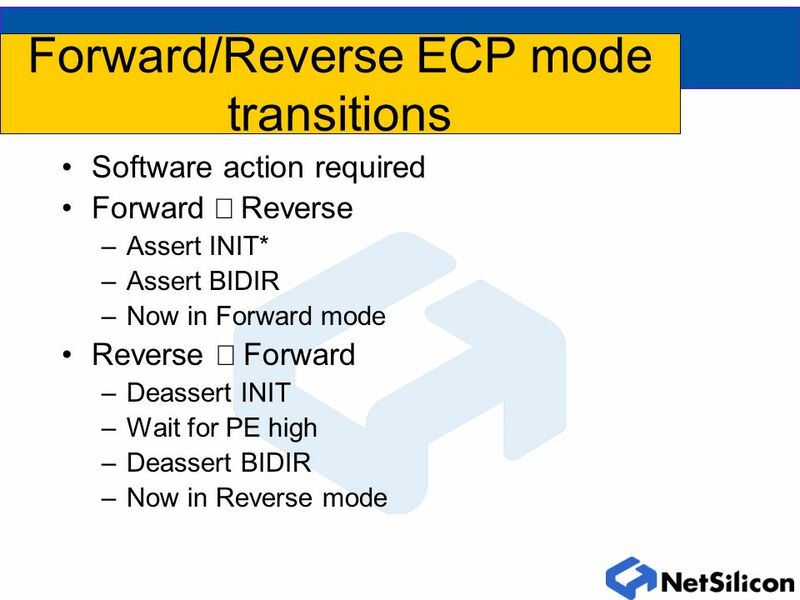 n ‘The parallel port reflects. 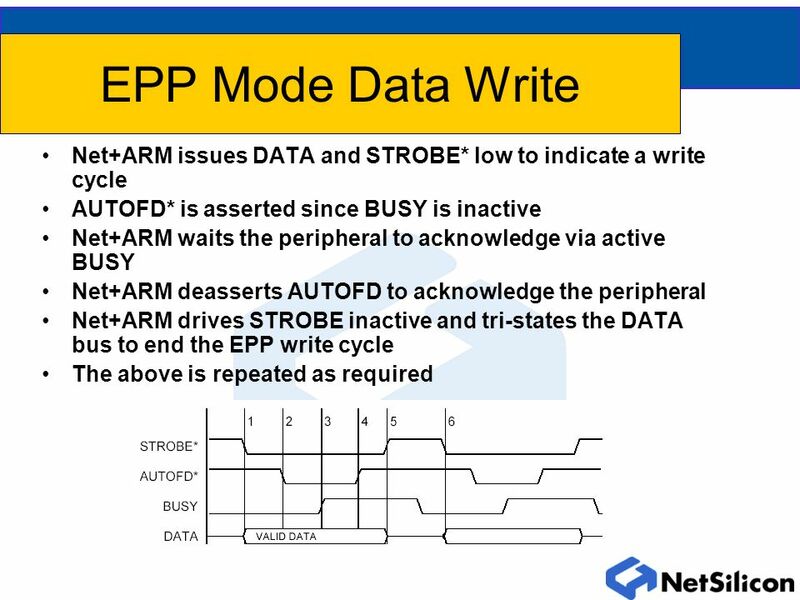 ECE200 – Computer Organization Chapter 8 – Interfacing Processors and Peripherals. Input-Output Problems L1 Prof. Sin-Min Lee Department of Mathematics and Computer Science. 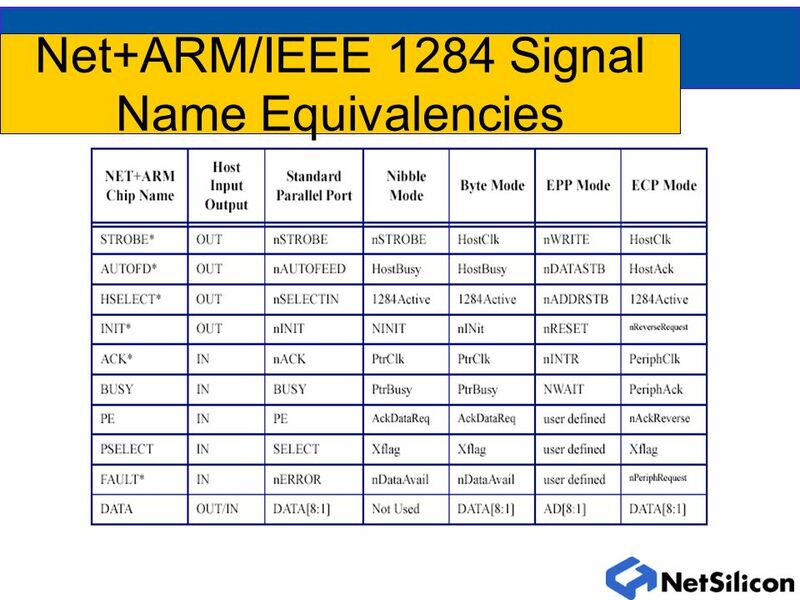 1 PC Peripherals for Technicians PC Peripherals for Technicians Chapter Chapter Interfaces: Parallel Port Systems Manufacturing Training. 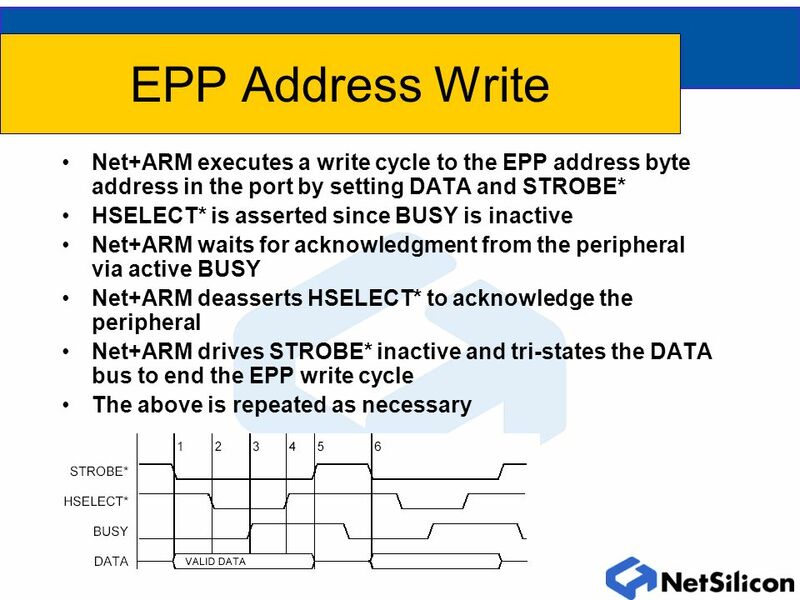 EE 316 Computer Engineering Junior Lab Lecture on PC Parallel port. 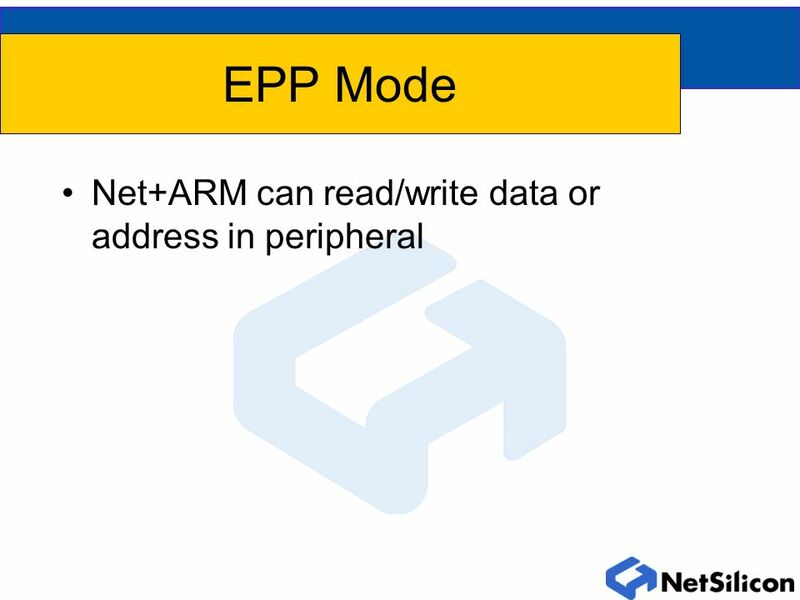 DSP C5000 Chapter 10 Understanding and Programming the Host Port Interface (EHPI) Copyright © 2003 Texas Instruments. All rights reserved.